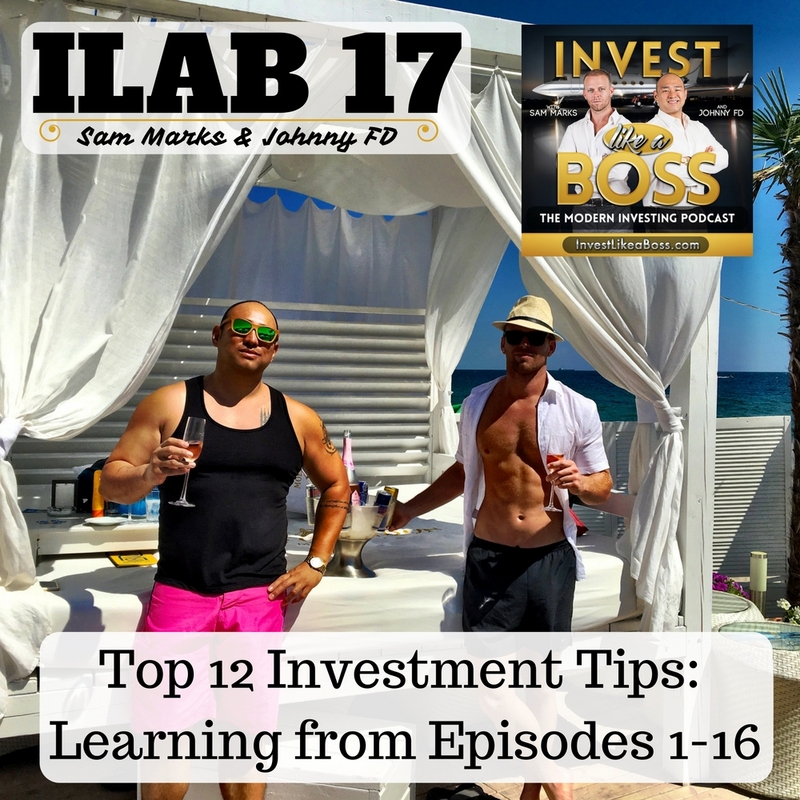 With 16 amazing episodes under the belt of Invest Like a Boss, Sam and Johnny sit down and discuss the top 12 takeaways and how they have applied this learning to their own investment strategies and overall portfolios. Some major investment vehicles reviewed in previous episodes include investing in stocks, Peer to Peer Lending, asset allocation models, REIT’s, Tony Robbins all seasons portfolio, annuities, and tax free IRA investing. Listen to the end of the episode to hear an update on our current portfolio’s and possible future guests on our show.